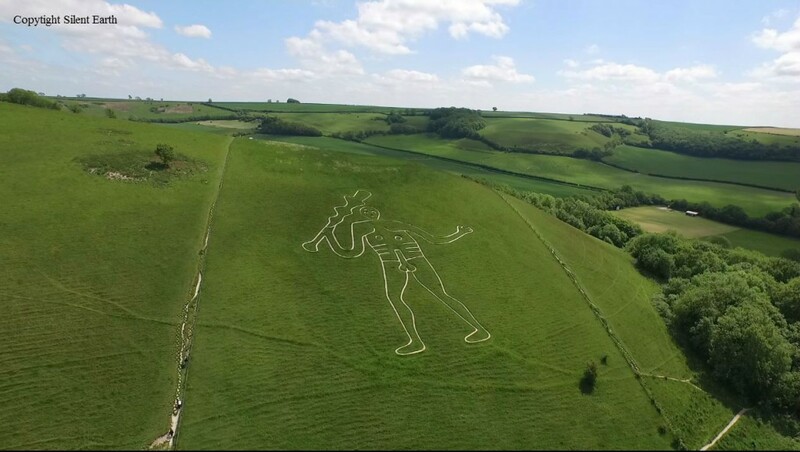 From earliest childhood memories, the chalk hill figure of the Cerne Abbas giant in Dorset has been welded into my consciousness. My first memory was of a family holiday, driving from Bournemouth to Cornwall in the West Country. My father hired a Morris Minor for the holiday and as we drove past the enigmatic hill figure, my brother and I sniggered together in the back of the car. To this day, by my mind it is the iconic image of Dorset, as Stonehenge is to Wiltshire and the White Horse of Uffington is to Oxfordshire. 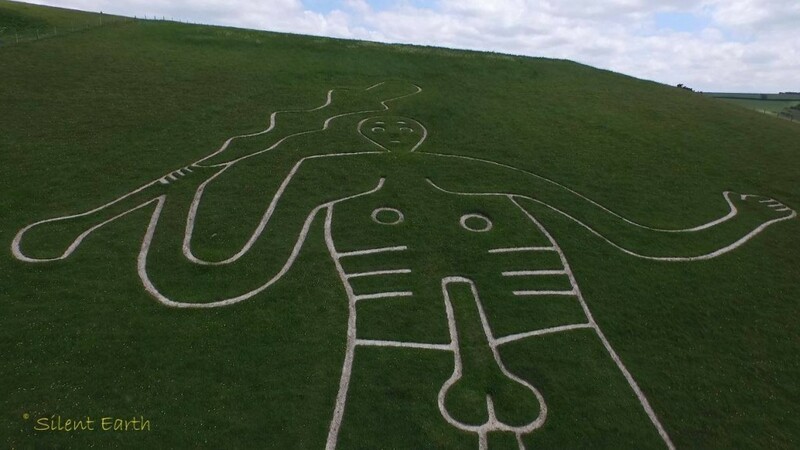 Many stories, legends, and of course folklore, have arisen among us Dorset folk over the generations relating to this gigantic figure (180 feet long and 167 feet wide). The round baby-like head is said to be a markedly Celtic feature. 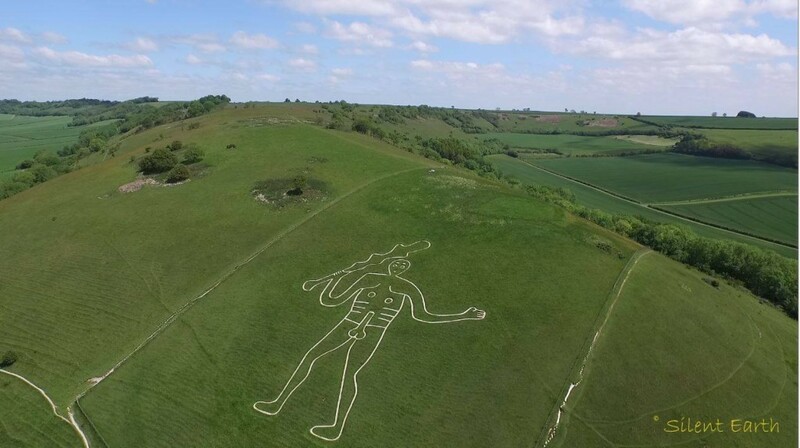 In Lost Gods of Albion Paul Newman wrote ‘The giant commemorates the victory of the sun over the serpent, and the old name for Cerne, Cernel or Cerne Hill means ‘hill of the sun-god’. St. Augustine visited Cerne and the inhabitants pelted him with fish tails. 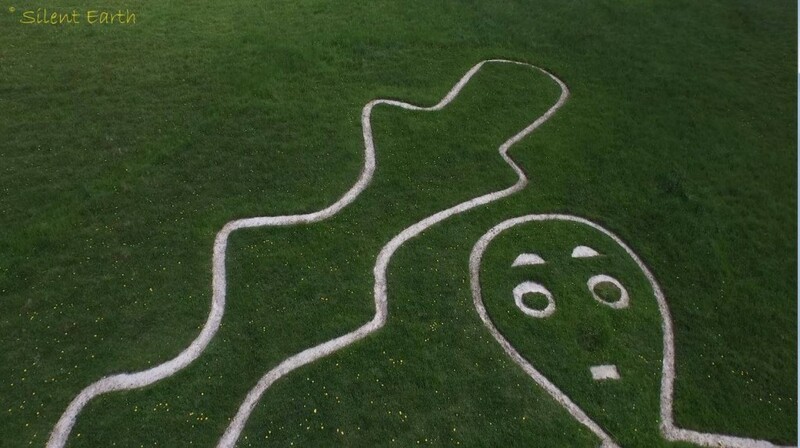 When Rodney Castleden conducted a resistivity survey on a small mound beneath the giant’s extended left hand, he detected ‘a fist grasping a wild mop of dreadlocks from which is swinging a severed head.’ , more here . More of the myths and legends here and here. ‘In the sequestered valley, and hard by the spot where Aethelmar’s monastery once flourished, the eye is arrested by the apparition of a gigantic human figure, rudely sculpted on the side of a lofty hill, which to a person unaccustomed to the sight is an outstanding — and probably repulsive — object. There, with outstretched arm and uplifted club, as though he were a tutelary divinity of the quaint old town of Cerne Abbas, he stands in apparent defiance of the degenerate race below, with whom he owns neither kith nor kin…’ – Dr. Wake Smart Warne’s Ancient Dorset, 1872. 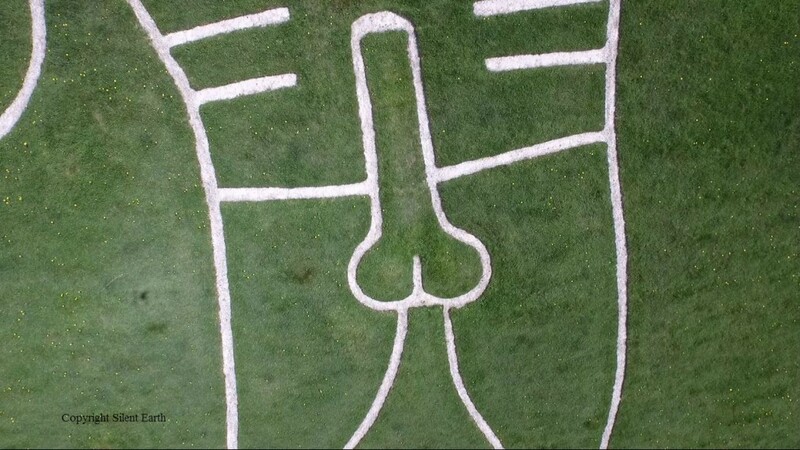 Apparently for many years postcards of the giant were the only pornographic images that could legally be sent through HM Royal Mail. ‘I walked the valleys by the Cerne, on a path cut 1500 years ago.’ – P.J. Harvey “White Chalk” here. Seven years is the interval ascribed to the upkeep of the Giant. To the forage of his prey. Across his back he threw. The monster gorged with blood. 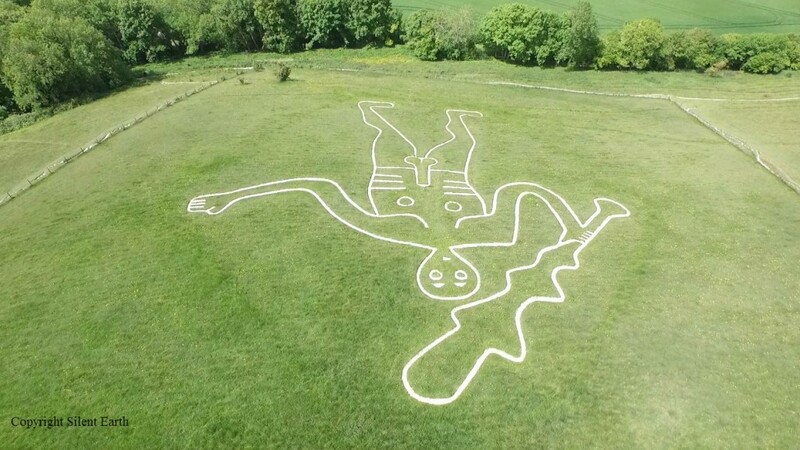 More on the Cerne Abbas Giant here and here .